Thomas John Cardell Martyn, the son of a British soldier, was born on 3rd January, 1895. His father was killed in Rhodesia and on the outbreak of the First World War, joined the Royal Flying Corps. During the conflict he lost his leg in an aircraft accident. 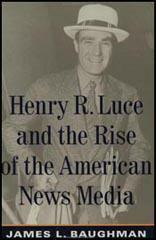 After the war he became a journalist and in 1923 he was recruited by Henry Luce to work as Foreign News editor on the recently established Time Magazine. He had little experience in journalism but Martyn, who was fluent in French and German, seemed to know a great deal about European politics. Isaiah Wilner, the author of The Man Time Forgot (2006), has pointed out: "He (Martyn) thumped around suavely somehow, a skilled billiards player with a touch of class, or so it appeared to the young Americans." The editor of the magazine was Briton Hadden. Another colleague was John S. Martin, who specialized in writing humorous stories for the magazine. Other journalists who wrote for the magazine included Manfred Gottfried and Niven Busch. He also became close to Roy Edward Larsen, the circulation manager. It has been claimed that Martyn and Gottfried wrote as much as two thirds of the magazine. 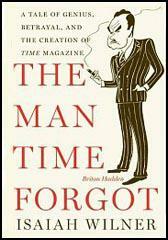 In April, 1925, Henry Luce discovered that Time Incorporated had lost $1,958.84 over the previous four months. He decided that he could save a considerable sum of money by relocating to Cleveland. John Penton, claimed he could save Luce $20,000 a year by printing the magazine in the city. Luce signed the contract without telling his partner, Briton Hadden, and key members of staff such as Martyn. Time Magazine moved to Cleveland in August, 1925. Most of the journalists, researchers and office staff refused to relocate. This was partly because Luce refused to pay for their moving expenses. Instead, he sacked the entire staff but offered to reappoint them if they applied for jobs in Cleveland. Martyn was furious and resigned. He also sold his 500 shares in the company to Luce. Martyn founded Newsweek on 17th February, 1933. He told his friends he hoped to "run Harry Luce out of business". Martyn explained that his new magazine "marshals facts against their background, throws revealing light into obscure situations - helps you understand the news." Investors in the venture included John Hay Whitney and Paul Mellon, the son of Andrew W. Mellon. In 1937 Newsweek merged with the weekly journal Today, which was owned by W. Averell Harriman and Vincent Astor. As a result of the deal, Harriman and Astor provided the magazine with $600,000 in venture capital funds. Astor became chairman and the principal stockholder of the company. Malcolm Muir was brought in as editor-in-chief of the magazine. Phil Graham, the owner of the Washington Post, had close links with the Central Intelligence Agency. It has been claimed that Graham played an important role in Operation Mockingbird, the CIA program to infiltrate domestic American media. In 1961 Graham purchased Newsweek. Thomas John Cardell Martyn retired to Agrolândia, Brazil, where he died on 5th February, 1979.